People with anorexia nervosa need anorexia nervosa treatment. The treatment for anorexia nervosa involves a visit to a physician and routine counseling sessions. A person may need to stay in the hospital that become underweight and suffer from serious medical and health issues due to the effects of anorexia nervosa. 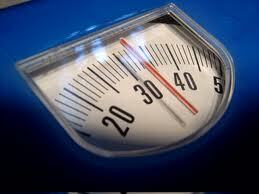 The main objective of anorexia nervosa treatment is to restore a proper and healthy weight with proper eating habits. With healthy weight brain get power to recover from this ailment. One can think clearly if a body and brain get recovery from anorexia nervosa. Brain can then have a full control over eating habits and control the body from obsessive thoughts. Initial treatments for anorexia nervosa involve a team consisting of mental and medical health professionals with psychologists and doctors and a registered nutritionist/dietician as well providing information on anorexia nervosa to the patients. Some doctors suggest a behavioral therapy for such patients because if excessive eating is controlled intentionally, it would be better than sorting out any other treatment.